counts 15 & 16) and sentences totaling 21 years. turned off his patrol car computer and AVL prior to pulling Ligons over. The prosecution claimed he did this intentionally to avoid detection. came forward with allegations against Holtzclaw prior to any news coverage or public disclosure. showed no evidence of sexual assault. claims she was made to put her hands on the hood of Holtzclaw's patrol car. That car was forensically examined hours later and no fingerprints belonging to Ligons could be found. 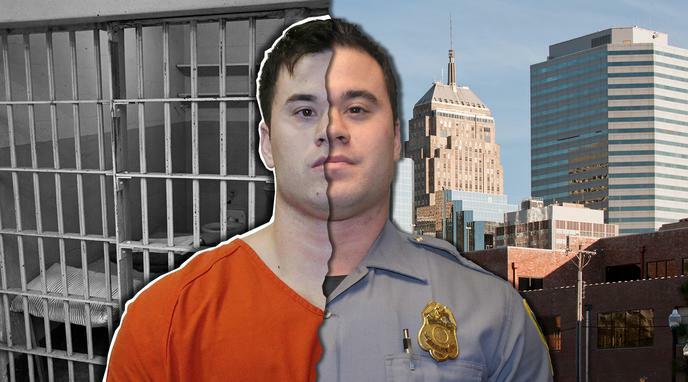 only video surveillance of the allegations against Holtzclaw (the Jannie Ligons stop) is inconclusive at best and does not show any criminal activity. claimed he was innocent when interrogated by Oklahoma City Police. did not turn and head northbound on N. Lincoln Blvd. toward her home. Instead, she remained westbound on NE 50th as she went through the intersection and was pulled over. This failed to be addressed during the investigation and trial.